My family has lived in the pleasant Willow Glen neighborhood of San Jose, California, for almost twenty years. We have raised our kids here and I run my business Mentoring Standard out of my office in Willow Glen. The people here are friendly and diverse, the local downtown on Lincoln Avenue offers good restaurants, shops, and services. Willow Glen homes – from small cottages to mansions – are famously charming with large, well-kept gardens on broad streets with big trees. 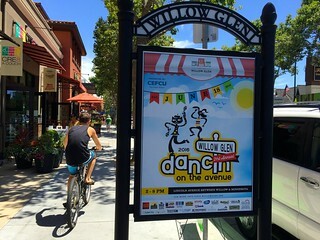 Willow Glen earns its title as “San Jose’s Local Treasure“. 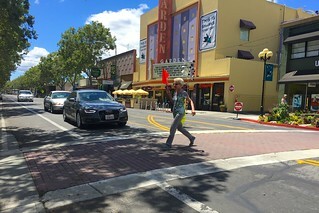 Regrettably, since 2014 there has been a fight going on about the Lincoln Avenue Road Diet imposed as a “short-term experiment” by a group for whom the main speaker has been Willow Glen’s outgoing City Councilman, Pierluigi Oliverio. Starting around March 2015, the Road Diet on Lincoln Avenue changed a busy four-lane road with no bike lanes into a two-lane road with two bike lanes plus a turning lane in the middle. The San Jose City Council will discuss making the Road Diet (“Lincoln Avenue Pilot Project”) permanent at their 28 June 2016 meeting. Please join me there if you want your voice to be heard on this contentious local issue. 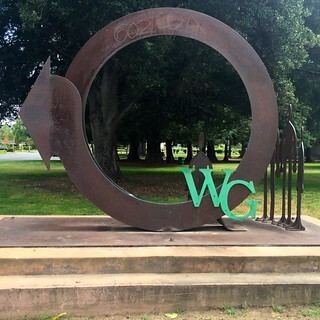 After a year of listening to my neighbors and local business people unhappily discussing the Road Diet, and reading passionate opinions online (for examples, see the Facebook pages: “Willow Glen Road Diet”, and “Stand Up for the Neighborhood – End the Willow Glen Road Diet”, and “Willow Glen Charm”), I decided to use my professional experience in data collection and analysis to clarify the discussion if I could, for myself if not for my neighborhood. This is my fifth post on this topic. Last month, I contacted the San Jose Department of Transportation (SJ-DOT) for an update on their 1 June 2015 report. SJ-DOT published the new report today. While waiting for the SJ-DOT report, I started listening to the local business owners, the individuals and families who offer goods and services on Lincoln Avenue between Minnesota and Willow. Yesterday and today, I walked up and down Lincoln Avenue and had in-depth discussions with many local business owners and managers. There was a range of opinions on the Road Diet but no one said that it improved business on The Avenue. The businesses I talked with were a mix: restaurants, retail stores, professional and personal services. Some people I interviewed wanted their opinions to be quoted using their names and others wanted to be anonymous. Several who asked to be anonymous said that Road Diet discussions had become so heated that they feared retribution or loss of customers. I have respected each interviewee’s preferences below. Thanks for those who took the time to share their thoughts, experiences, observations and opinions. Much appreciated! In the Memorandum dated 6 June 2016 and published today by SJ-DOT Director Jim Ortbal, he writes: “Based on the one year of ‘after’ collision data, it is inconclusive whether the modified lane configuration has had a measurable long-term impact on traffic safety… the total number of crashes was higher than the year prior to the pilot project.” That is, there were 22 crashes during the last year, compared to 8 the year before. Lincoln Avenue traffic is slower because of the Road Diet but drivers seem much more frustrated. Maybe the traffic is calmer but the drivers are angrier? Adding bike lanes did enhance travel for cyclists but cyclists using the sidewalks has decreased safety for pedestrians. Based on my observations and what I have heard in interviews, the Road Diet has generally failed to meet its goals during the last year. Many people told me that they thought that creating the Road Diet had more to do with property development requirements than with benefiting our neighborhood. Traffic safety and speed: The Road Diet has slowed traffic on Lincoln Avenue; however, while some think the street is safer, there were many reports in interviews of driver frustration resulting in dangerous driving or speeding detours into surrounding neighborhood streets or parking lots. SJ-DOT reported that there were 22 crashes during the last year, compared to 8 the year before. Parking: Lincoln Avenue parking was a challenge long before the Road Diet. In some ways, the Road Diet made the parking problem worse (for example, in heavy traffic it is hard to parallel park, and also difficult to move from one full parking lot to another looking for an open space). However, the presence of the bike lanes makes it easier to open your car door without hitting an oncoming car (but easier to hit a cyclist). The Road Diet did not address this problem. Bicycles: The Road Diet put two new bike lanes on Lincoln Avenue but they are lightly used. Many cyclists are observed to ride on the sidewalk regularly, presumably to avoid the dangers of heavy roadway traffic. It is legal to ride bikes on the sidewalk (except for a few streets in downtown San Jose) but not safe for pedestrians. Delivery trucks: Lincoln Avenue is full of business that need regular delivery of goods and supplies. 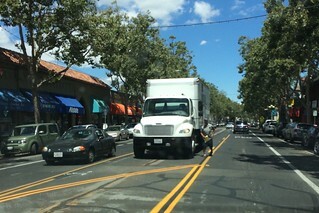 In the morning before most stores open, deliveries are easy but later in the day, trucks frequently have to park illegally in the center turn lane. This compresses the regular traffic even more and creates a barrier for emergency vehicles trying to get into Lincoln Avenue. The Road Diet did not address this problem. Community Trust: The way that the Road Diet was managed caused anger and mistrust of city government among most of the people I interviewed. 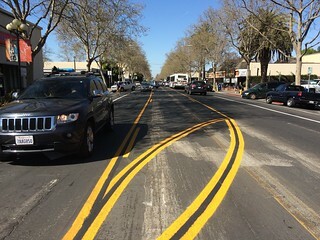 In my post Willow Glen Road Diet – Failure Update, I included a 2014-2015 timeline from Allen Rice of how the Road diet was created and implemented, intentionally avoiding impact reviews. There has not been a community meeting about the Road Diet since 18 June 2015. Many Willow Glen residents are looking forward to electing a new City Council representative in November 2016. Of the five problems, this loss of trust has the greatest destructive potential for our community. In my own opinion, the Road Diet could be made to work but only if all five of these problems are effectively addressed at the same time. 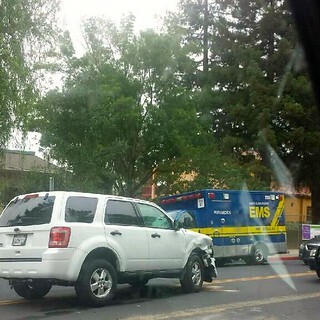 Those quoted are either business owners or managers on Lincoln Avenue in Willow Glen, between Minnesota and Willow. So happy you are involved.